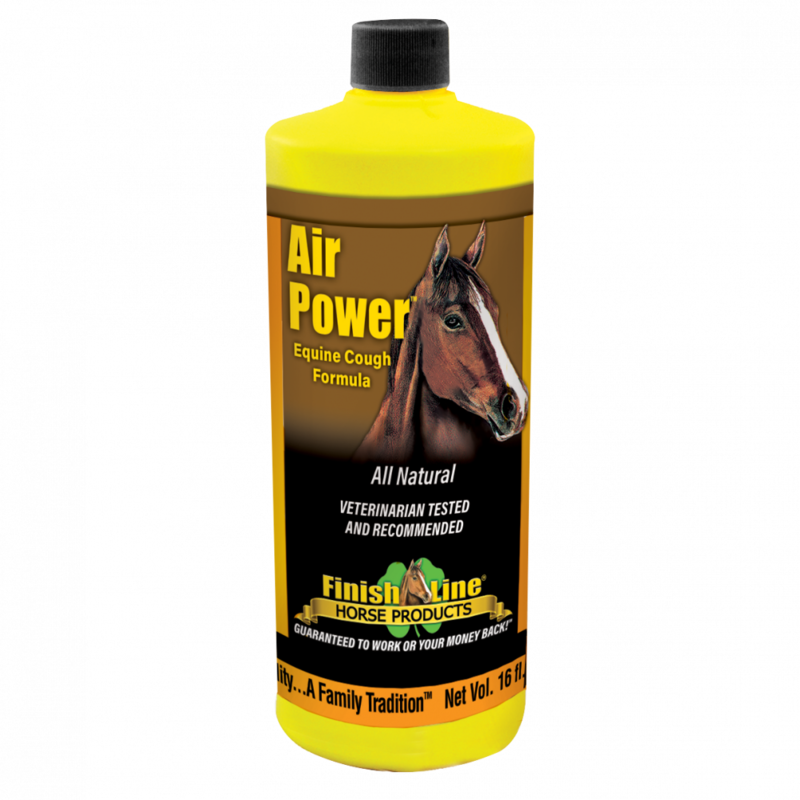 Air Power™ is an all-natural aid in the relief of minor coughs due to irritation. 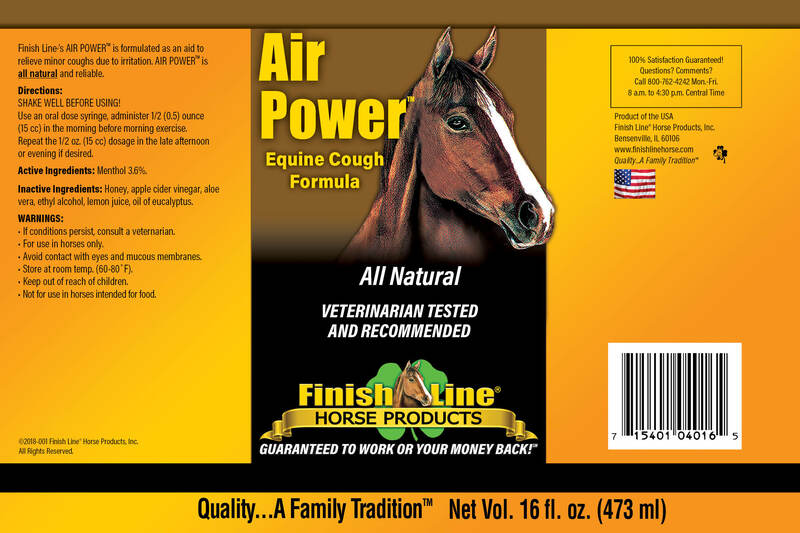 This all-natural formula uses ingredients such as Honey, Menthol, Eucalyptus Oil, Lemon Juice, Aloe Vera, Apple Cider Vinegar, and Ethanol to help stop a horse’s cough. 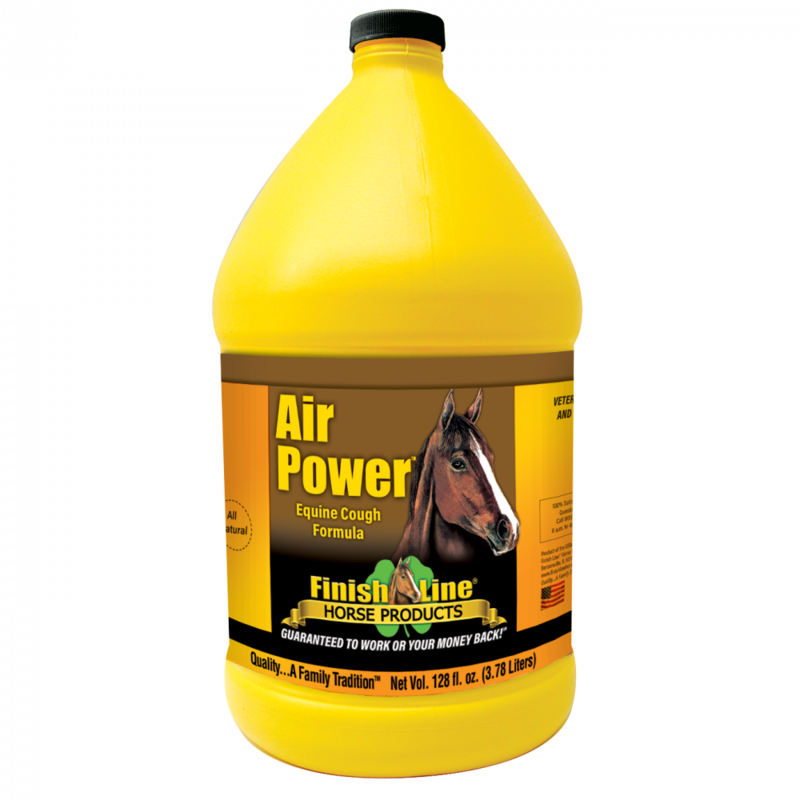 Usually, one dose of Air Power™ will stop a horse from coughing all day. Safe for pre-event, race, or performances. 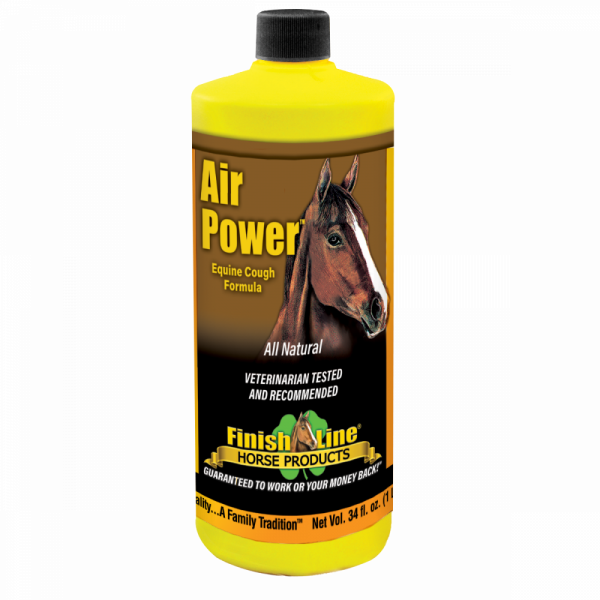 A horse that breathes better, performs better! It is cost effective with no side effects! Click to read a letter from Brigham Young University’s Dr. John E. Knowles, Jr. stating his experience with Air Power™. 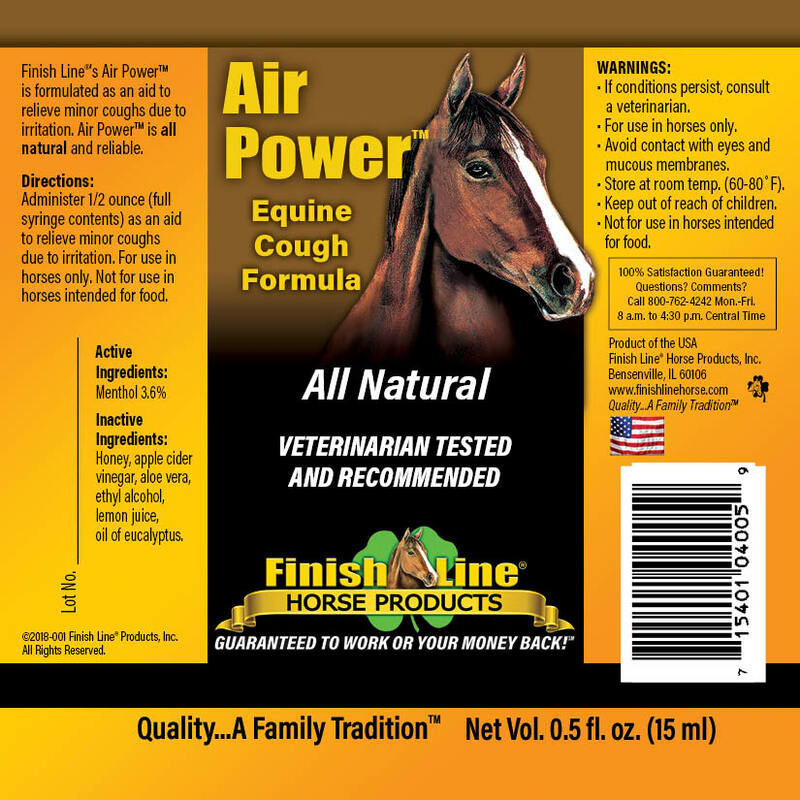 Directions from Air Power as follows: Finish Lines Air Power is formulated as an aid to relieve minor coughs due to irritation, is all natural and reliable. 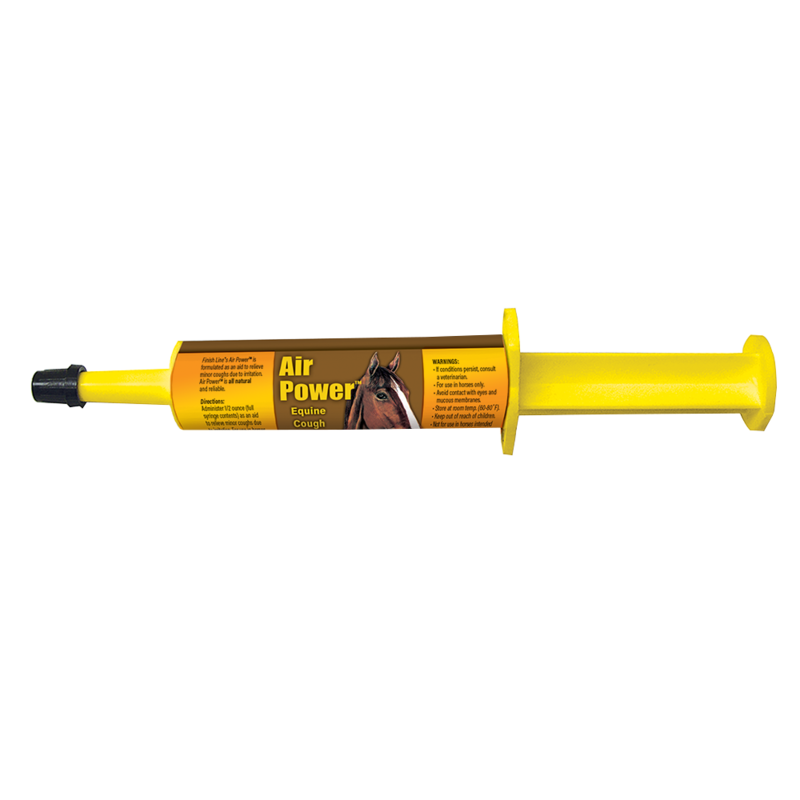 Shake well before using, Use an oral dose syringe, administer 1/2 oz in morning before exercise and repeat in the afternoon if desired. 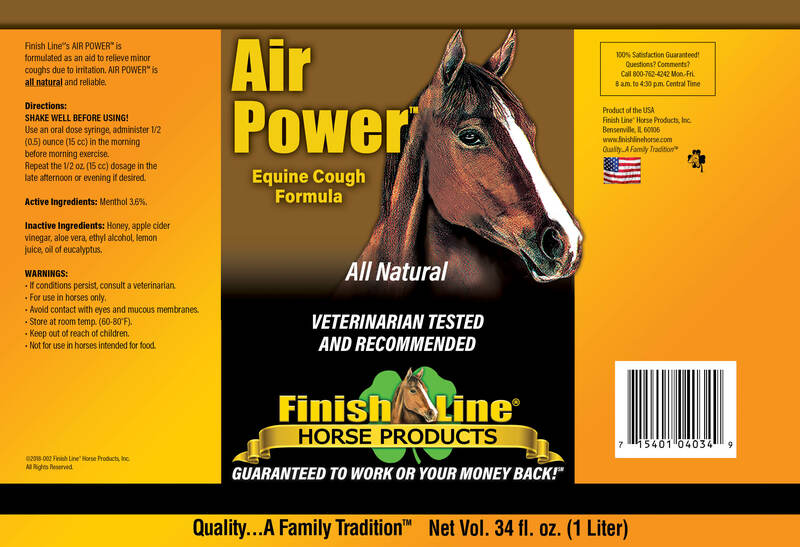 I use this product the minute I hear a sniffle and it always helps keep the horse’s cough down. It could be the best cough remedy on the market!!! !